Inman Aligners UK - Orthodontics - Orthodontist Hampshire. 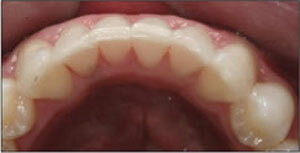 The Inman Aligner is a great choice for adult relapse cases or those with mild overcrowding. 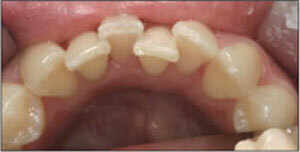 It is a removable orthodontic appliance that provides very quick treatment time, usually between two to six months. It works by applying a squeezing type force from two separate devices – one to push your teeth from behind and another to push from the front. The simple mechanism means that it aligns only the front teeth. 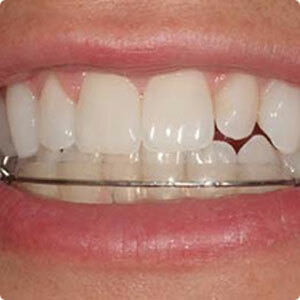 The aligner is often an affordable option and can be used before other cosmetic treatment such as veneers. If you have a mild case of overcrowding or have relapse following orthodontic work as a young person, the Inman Aligner could be for you. This appliance isn’t suitable for more complex cases where more than your front teeth need aligning. Just as with all orthodontic techniques, we can recommend which method is the best for you on an individual case. How often will I need to wear it? To get the very best results and within the time quoted in your consultation, you must wear the Inman Aligner for eighteen to twenty hours a day. The appliance should be removed before eating and you should clean your teeth before refitting. Like all orthodontic treatment, good oral hygiene is essential. Do I need to wear a retainer afterwards? 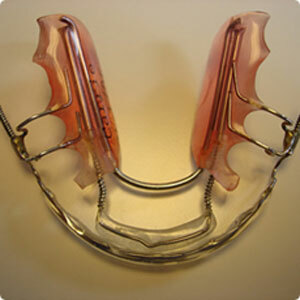 For all orthondtic treatment, to prevent a relapse you will need to wear a retainer and/or fixed retainer wire. We can recommend the best solution for your individual needs. The cost of this is included in your original quote. Where can I get an Inman Aligner? Our orthodontist Dr Dhatt is a registered Inman Aligner Dentist and you can find him at Ringwood Dental, which serves the Southampton, Bournemouth, Poole, Salisbury and Christchurch areas.